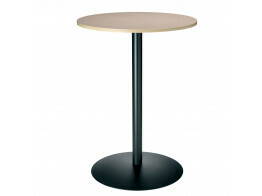 Cafe Tables and dining bench solutions to suit your cafe, staff restaurant or student bar interior requirements. Find all your modern cafe tables and benching to furnish your restaurant/cafe to the highest professional and designer levels, give us a call now. 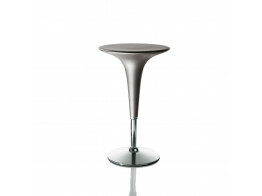 Ahrend 460 Tables with four legs come fitted with adjustable feet to compensate for any irregularities on the floor surface. 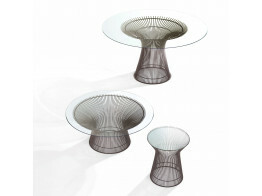 Platner Table's curved vertical steel wire rods create circular frames, producing a compelling moiré effect. 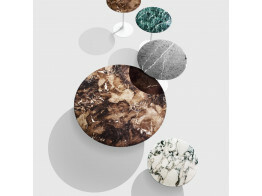 Saarinen Tables are available as dining tables, coffee tables and a side table with veneer, laminate, or marble tops. 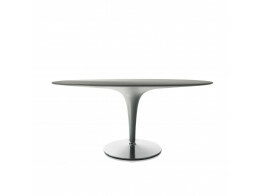 Paperclip Cafe Table's molded polyurethane edge enables it to handle heavy use while appearing visually light. 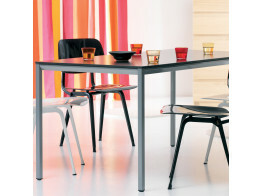 Aida Folding Tables are fitted with castor wheels, can be used outdoors, and nest together to save space. 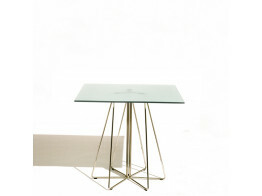 Air Tables are stackable and can be used both indoors and outdoors. 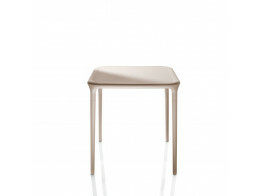 Available square or round and in white or beige. 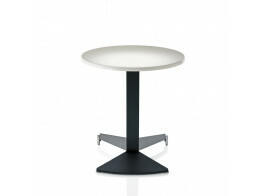 Bombo Tables are ideal for modern cafes and bars. Fixed height or height adjustable versions available.